Chief Information and Innovation Officer, CIIO, and Global Purchasing chairman. 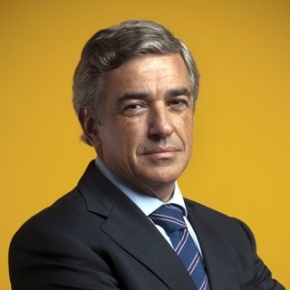 Member of the Executive Committee of Ferrovial.Member of the Board Inversis Bank. DES. Best European Digital Executive 2016. European CIO of the year 2014. Cionet. CIO 100, 2014 CIO magazine. 50 Hispanic most influential in IT 2014, 2015, 2016, 2017. HITEC. Innovation Award company 2014 (Spanish Government). SAP Best project 2013 gold, 2014 silver, 2015 bronze. Oracle Awards 2012 and 2014. IT best career 2012 Spain. CIO global of the year 2011 Spain. European CIO finalist 2010 Cionet. European outsourcer project of the year 2010. European Outsourcing Association. CIO of the year 2007 in Spain. Best IT Company of the year (XBRL Spain) 2005.